Home » 2017 highlights to ring in the new year! 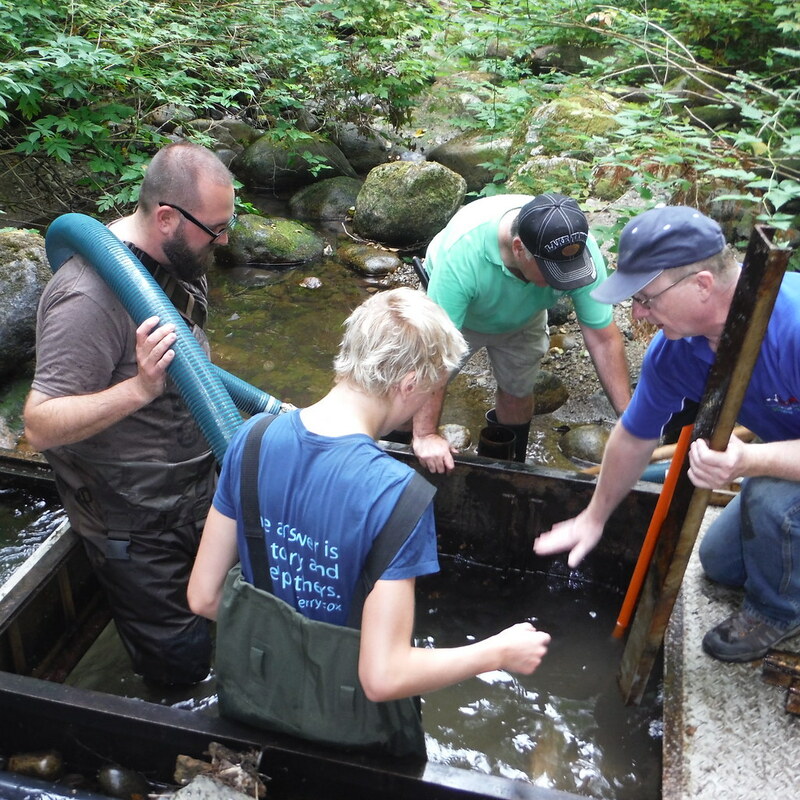 2017 was an amazing year for the Burrard Inlet Marine Enhanement Society and our many Awesome Mossom Creek Hatchery volunteers! Thanks to all those that have supported us throughout the year. 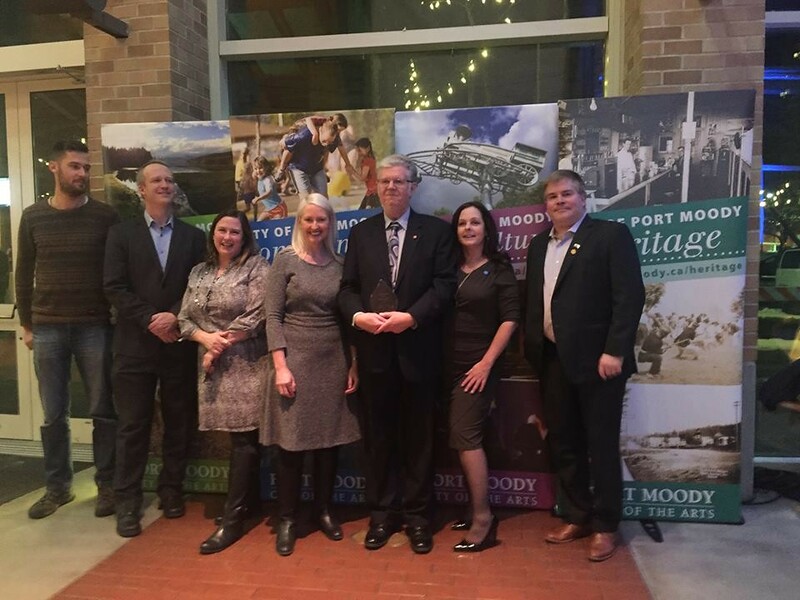 Neil Laffra, our hatchery manager and vice-president is awarded the 2016 City of Port Moody Environmental Award in January 2017. 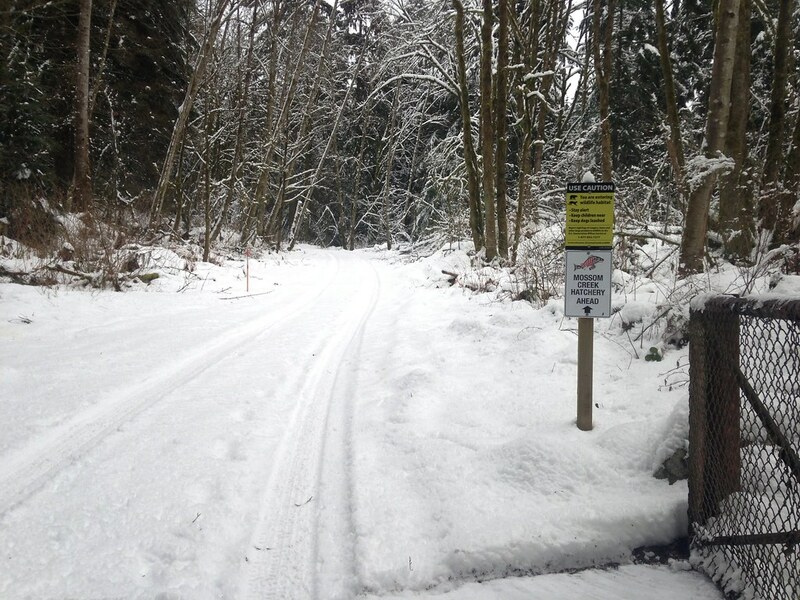 Snow that began in November was still present in early February when this photo of our access road was taken. 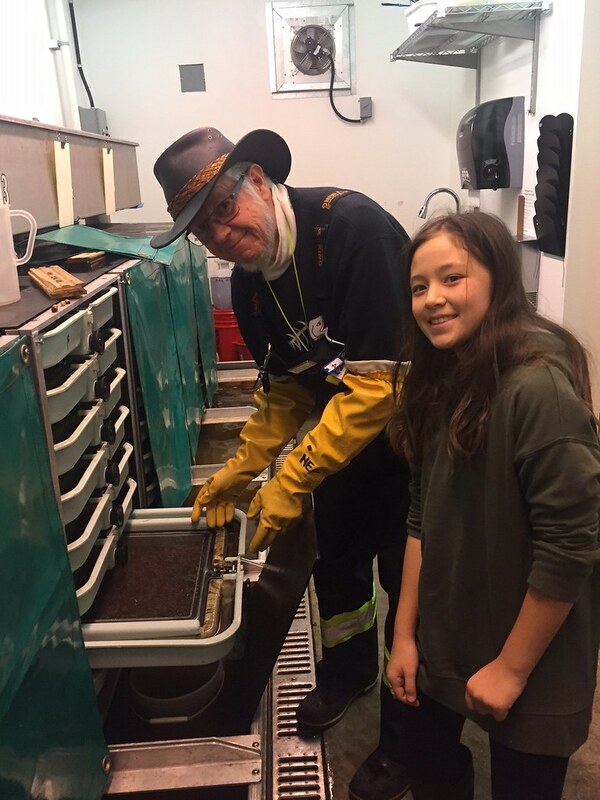 On February 8th, eyed coho eggs that had been carefully incubated at our sister hatchery, Noons Creek, were transferred to Mossom with the help of fisheries technician Scott Ducharme and our community advisor, Sandie Hollick-Kenyon. 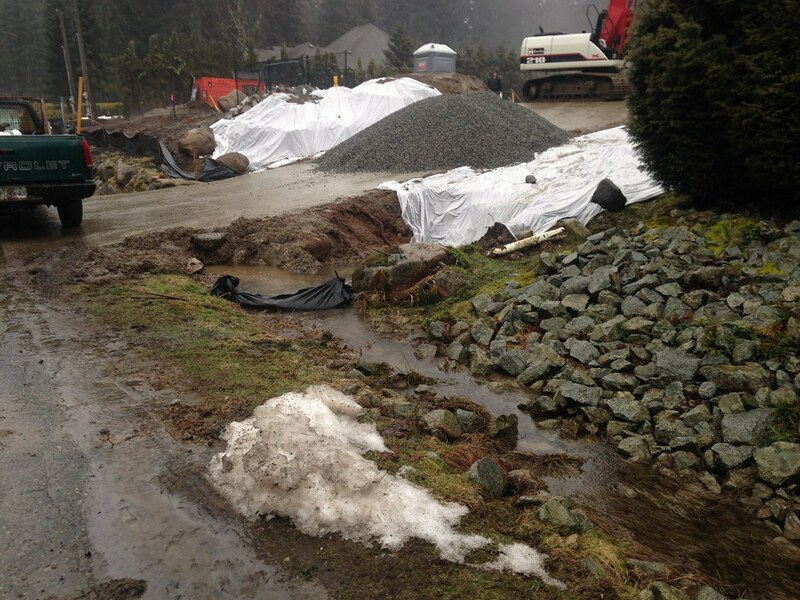 Home construction in the Village of Anmore was the source of siltation detected downstream at Mossom in February. Corrective measures were quickly taken by those responsible. 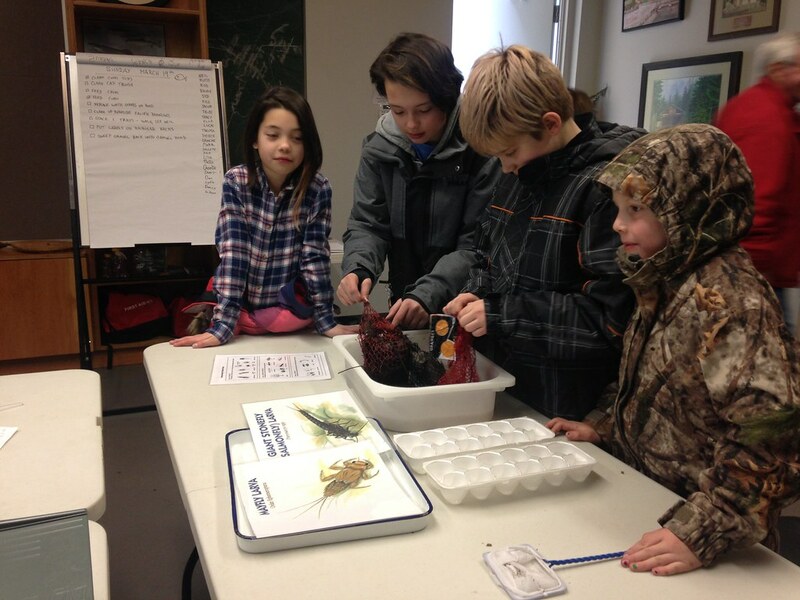 A visit in March by two former Centennial Fisheries Ecology 12 students and their respective children and their parents resulted in a wonderful three generation visit during which there as some aquatic insect identification just for fun. 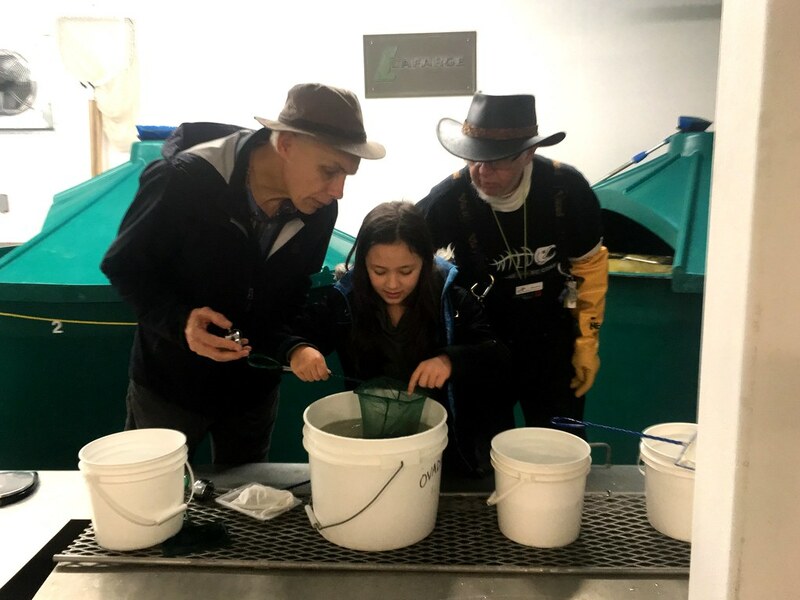 In May, the Noons Creek Hatchery once again hosted that enormous environmental event, the Fingerling Festival. 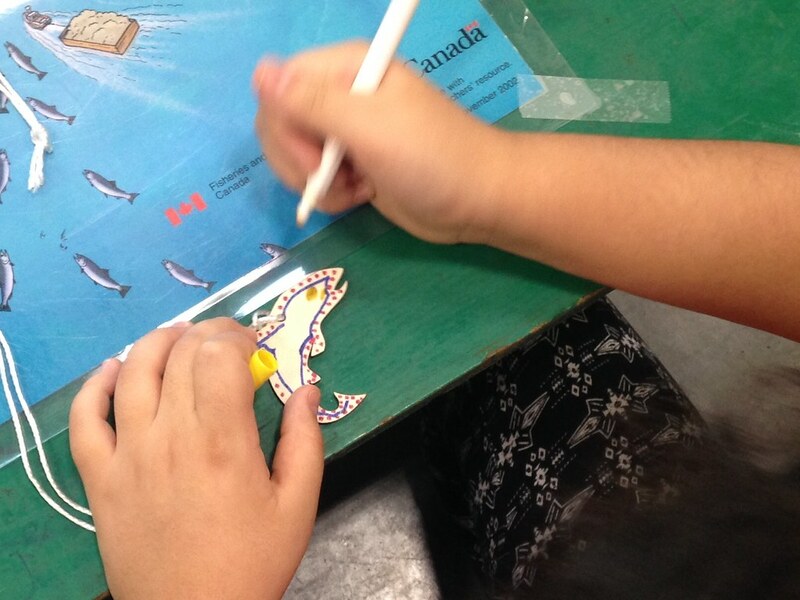 Mossom volunteers provided a fish craft for kids that proved to be very popular. 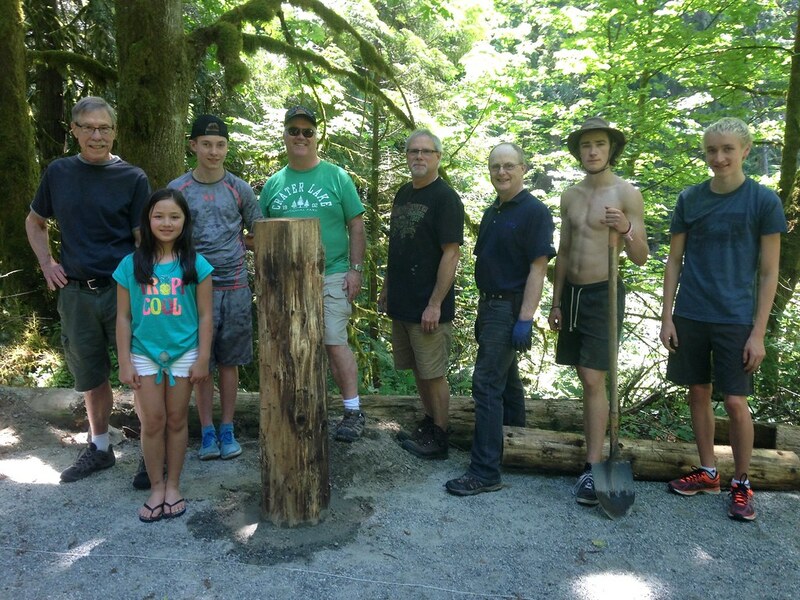 Fingerling Festival volunteers from Mossom included Keegan, Eryk, Ruth, Brian, Cara, Rod and Tracy. 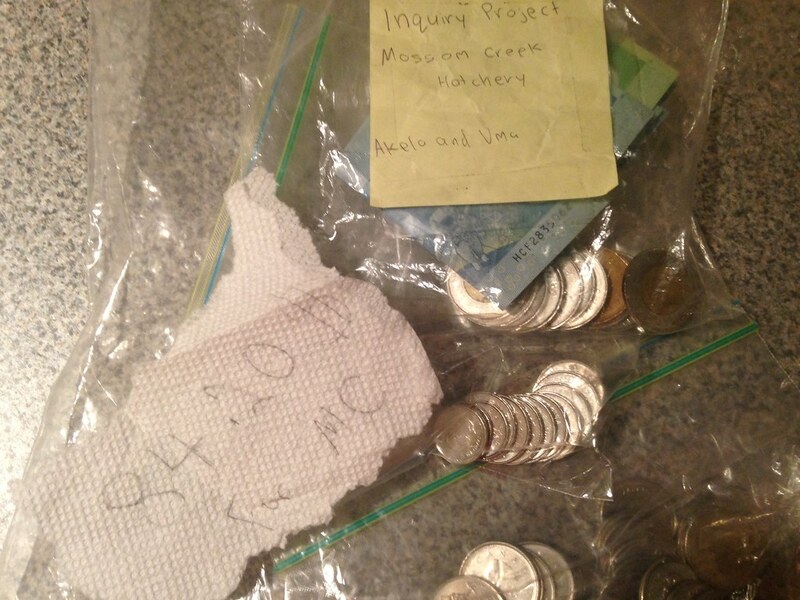 In May, we were surprised by a package left at the hatchery door by two grade 6 students, Akela and Uma, who had sold bracelets and done an in-school awareness campaign about Mossom which resulted in a donation of over $80. 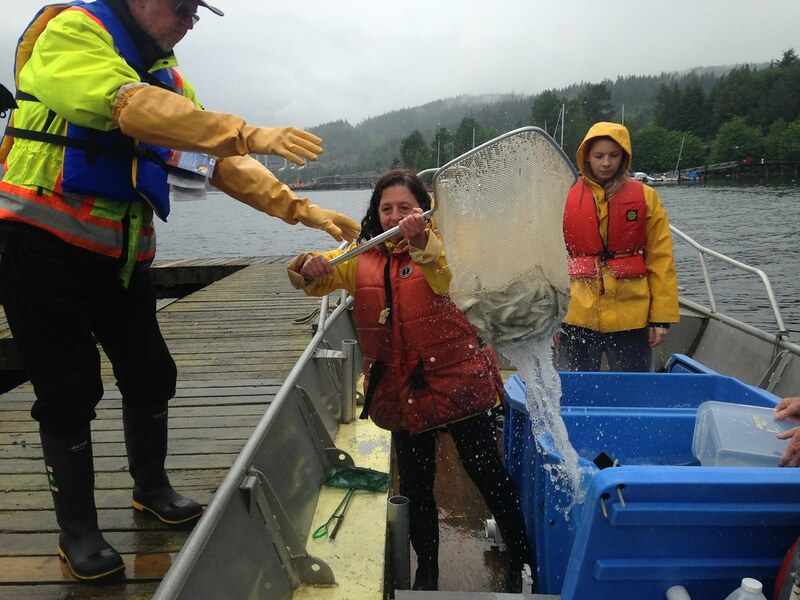 It looks like winter from our clothing, but it was actually a rainy, cold June 1st when our coho smolts were transferred to our Ioco sea pen for a week of acclimation to sea water before their release. 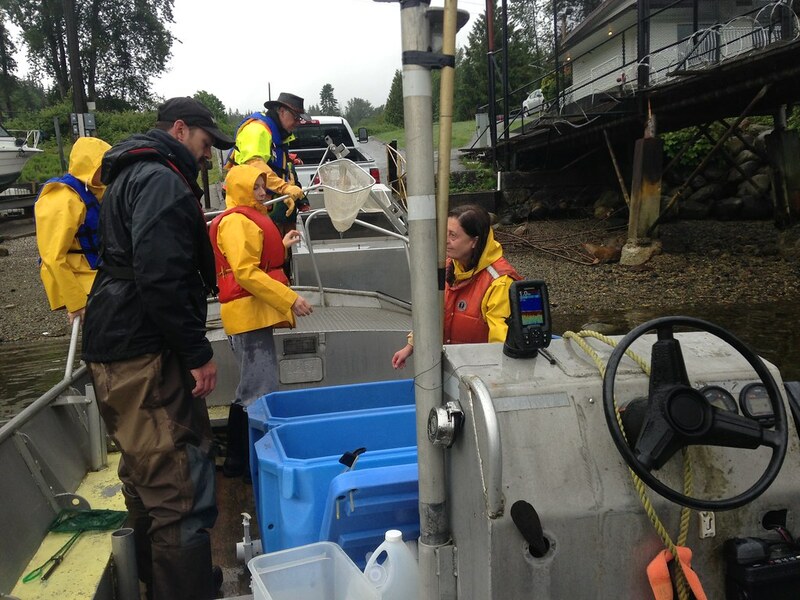 First, the fish came by truck from the hatchery and were loaded aboard the skiff, Medusa 2. Cleone hands a net full of coho smolts to Neil at the sea pen. 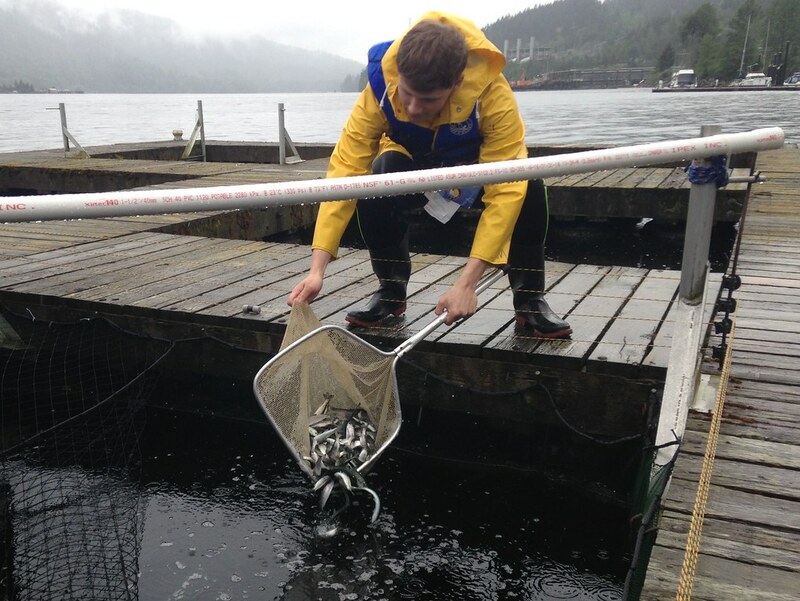 Kamil carefully releases coho smolts into one of the net pens on the Ioco float. An electric fence will deter river otters and a net over the top will keep out hungry gulls and herons. The spring program season was very busy and well received. 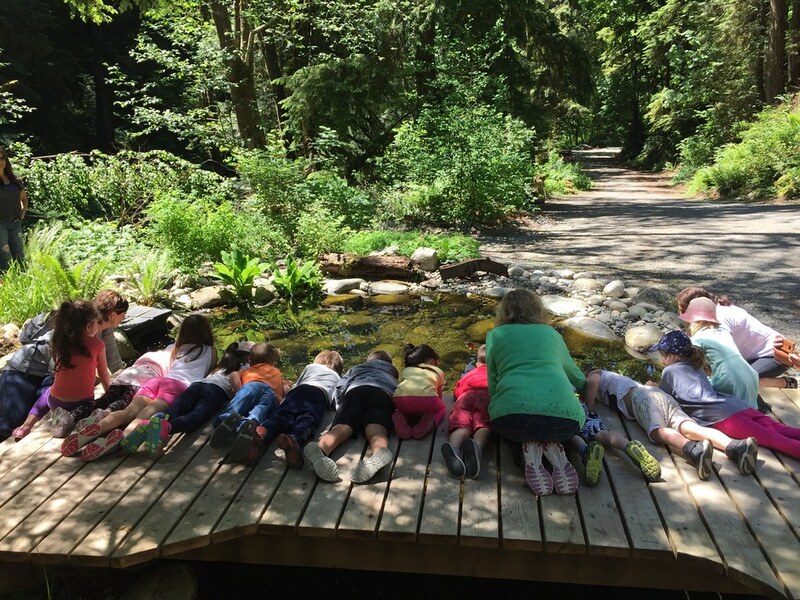 Here are some pre-schoolers in early June checking out life in the pond with interpreter Cleone. 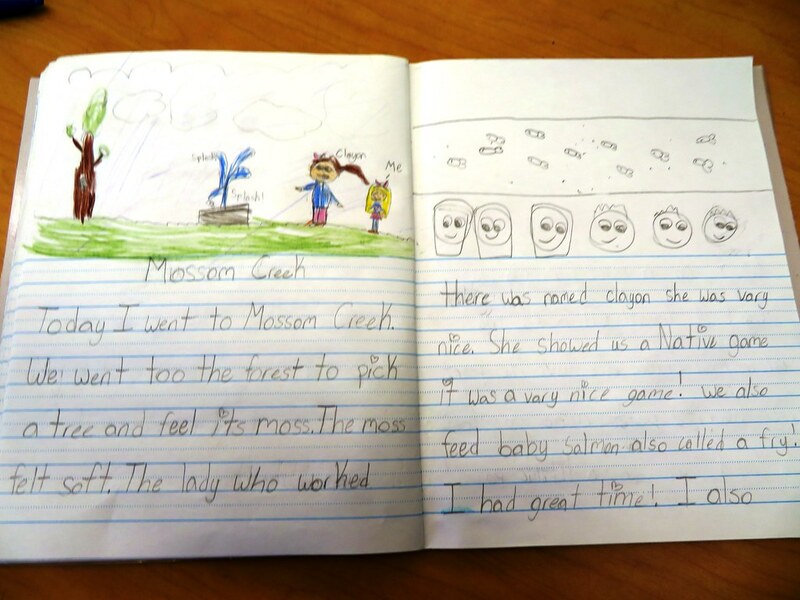 Feedback from Cleone’s program’s was consistently enthusiastic and positive. 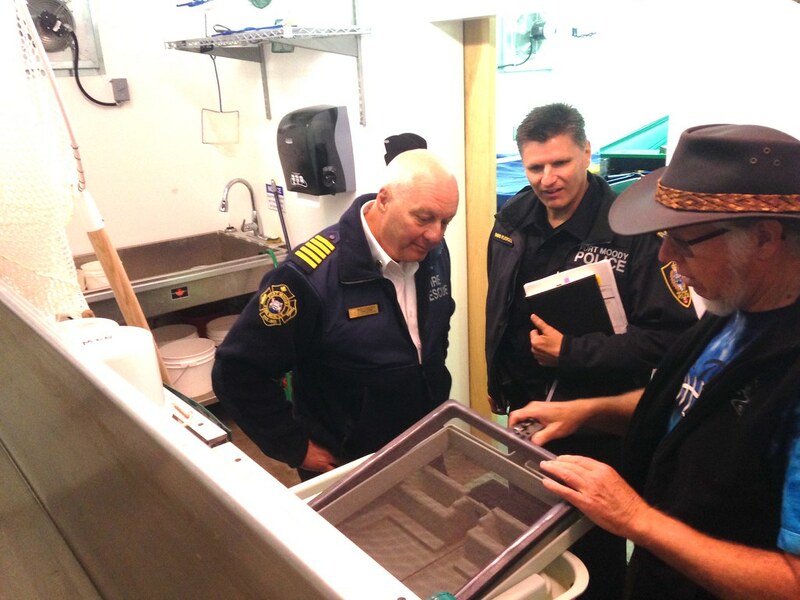 It was a pleasure to give a tour of the hatchery and education centre to Port Moody Fire Chief Ron Coulson and Police Chief Dave Fleugel on June 2nd. 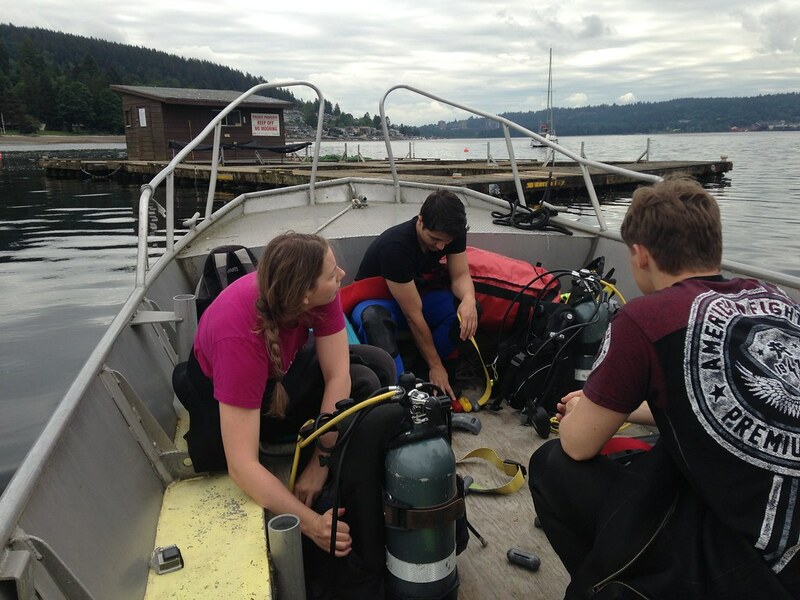 Serena, Lukasz, and Kamil prepare for a dive under the Ioco sea pen to inventory marine life of the harbour. 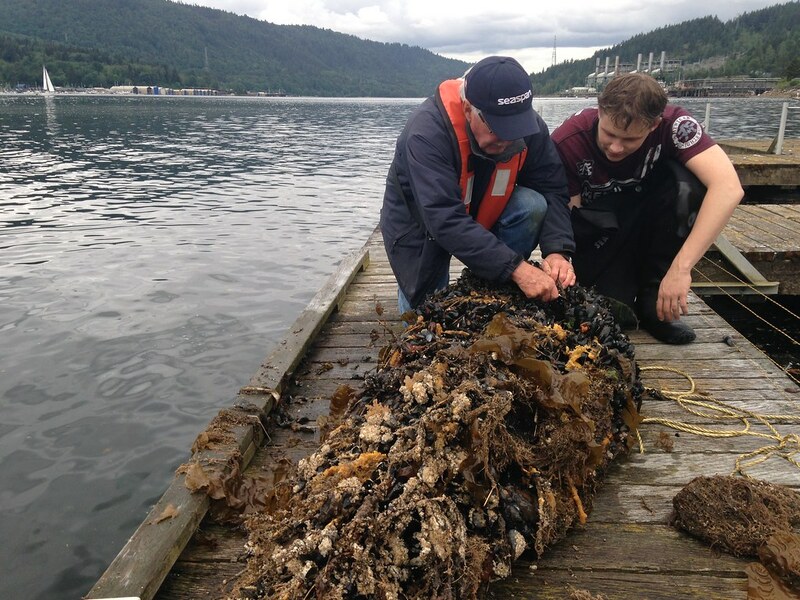 Our hatchery operates with significant financial assistance from the Port of Vancouver. This data collection, documented on video, is one way we can give back. Rod and Kamil inspect marine organism colonization on Christmas trees suspended months earlier under the sea pen. We see a great biodiversity of organisms including some invasive tunicate masses. Beachcombed logs are the uprights for this sturdy parking lot fence constructed in June. Brian, Krystyna, Eryk, Kevin, Scott, Mel, Pierce and Griffin take a break. 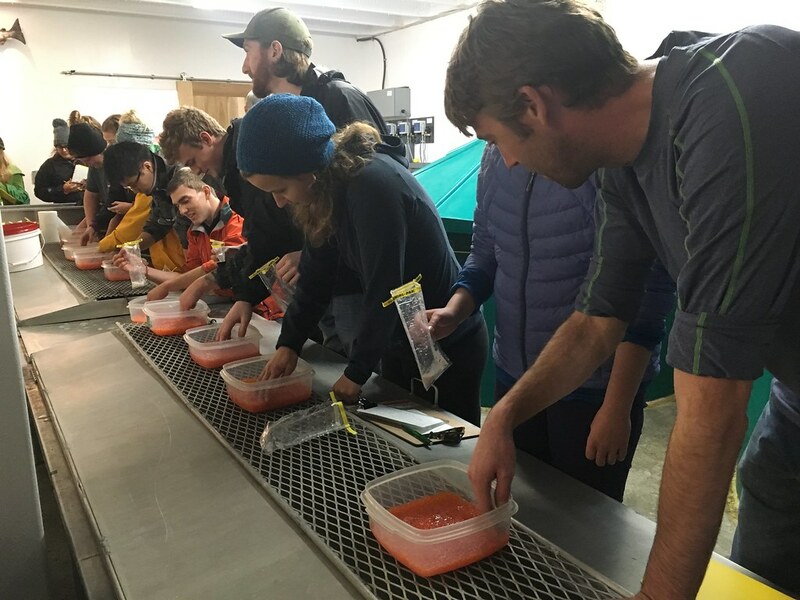 It took a big crew and several hours to fin clip over 4,000 coho fry in early July. We were fortunate to have MP Ron McKinnon visit during this event. Adipose fin clipping is delicate work that must be done swiftly and accurately. 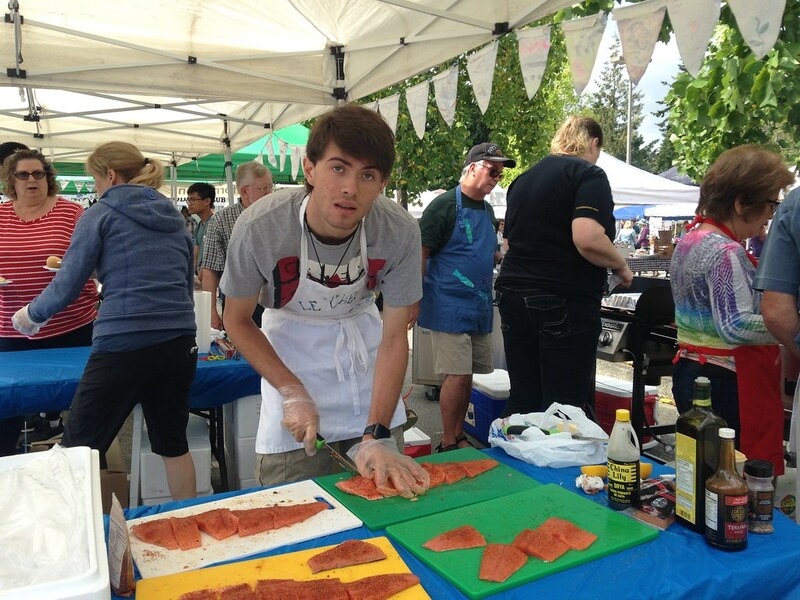 Alex Stein cuts up the pink salmon donated by the Canadian Fish Company for our July salmon barbecue fundraiser at the Coquitlam Farmers Market. 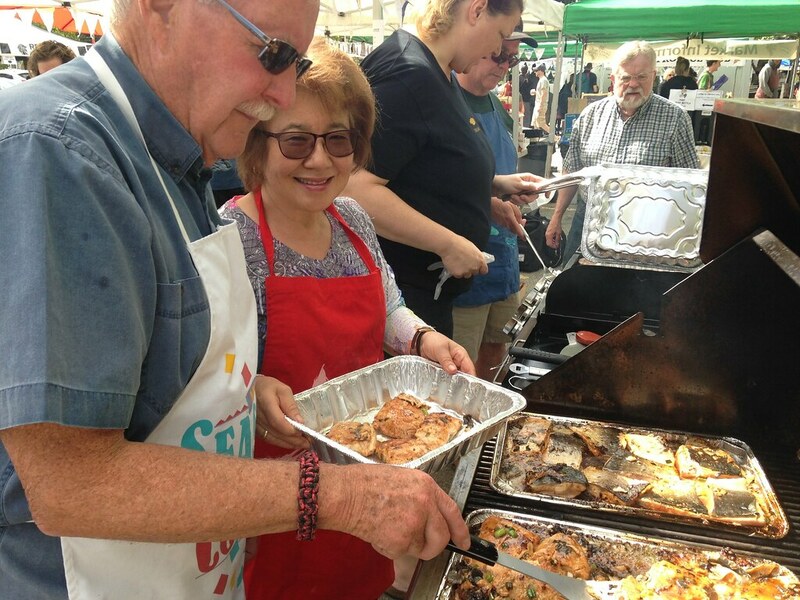 Rod and Jen toil over the hot grills to keep the tasty salmon coming for hungry market goers. 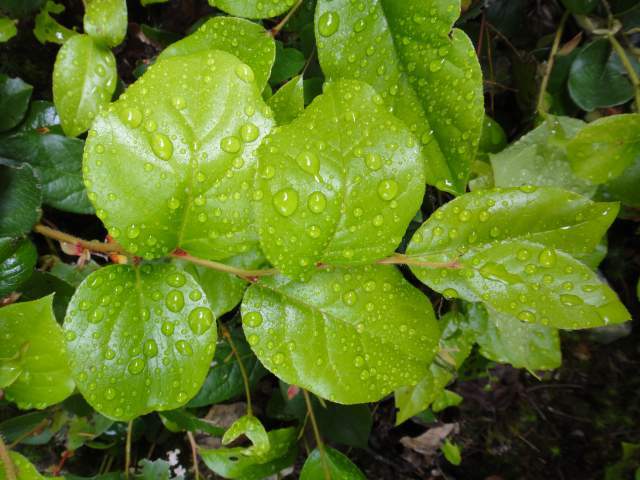 The biggest event of the year for Mossom was the watershed BioBlitz conducted August 18th-19th. 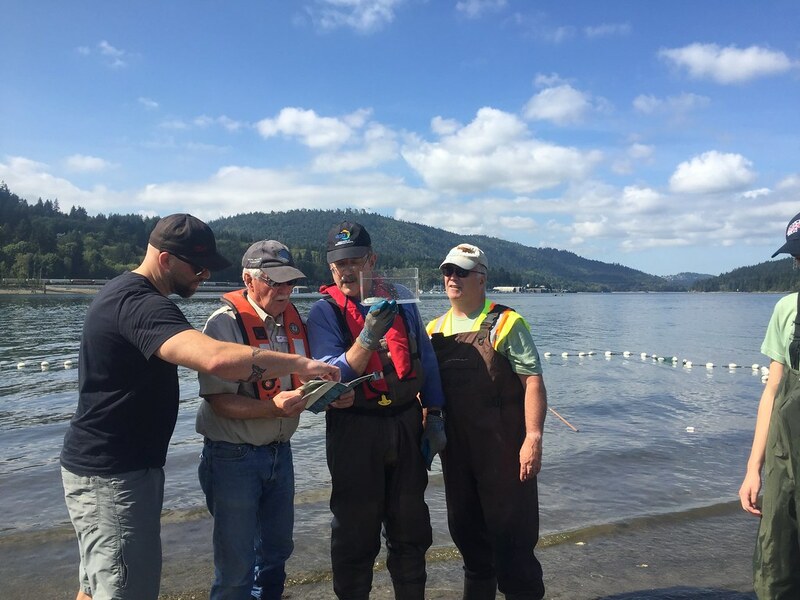 The BioBlitz included a study of intertidal beach organisms, fish netted in beach seines and marine life of the deep estuary in the vicinity of the Ioco sea pen as seen by scuba divers. 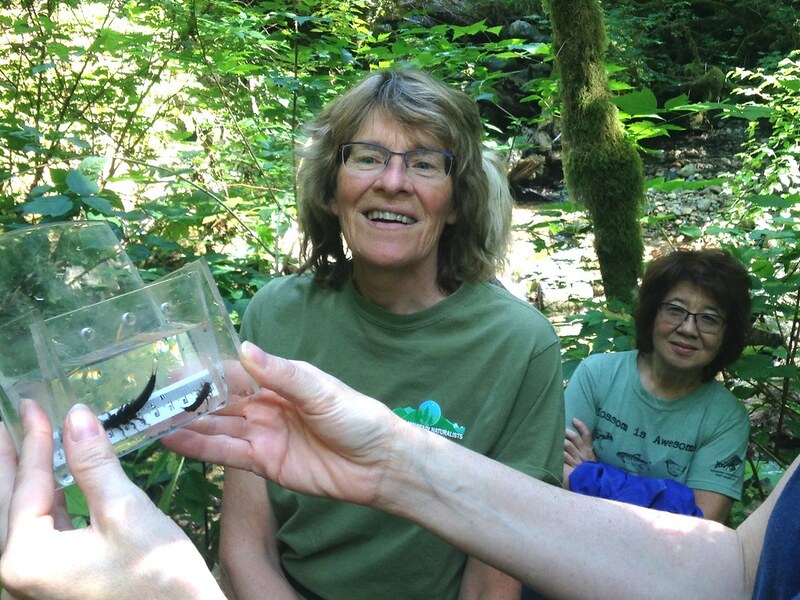 Freshwater aquatic insects were identified and shown to members of the public who participated in biodiversity walks during the BioBlitz. The iNaturalist app with its photo and GPS features was used by BioBlitz participants to report sightings. The BioBlitz brought together volunteer specialists of all sorts. There were those who knew mosses, molluscs, mammals, beetles, owls, bats, birds, fish and more. An annual task that takes a lot of muscle is cleaning out the hatchery’s instream intake box. Kyle, Griffin, Kevin and Mel get it done in August. 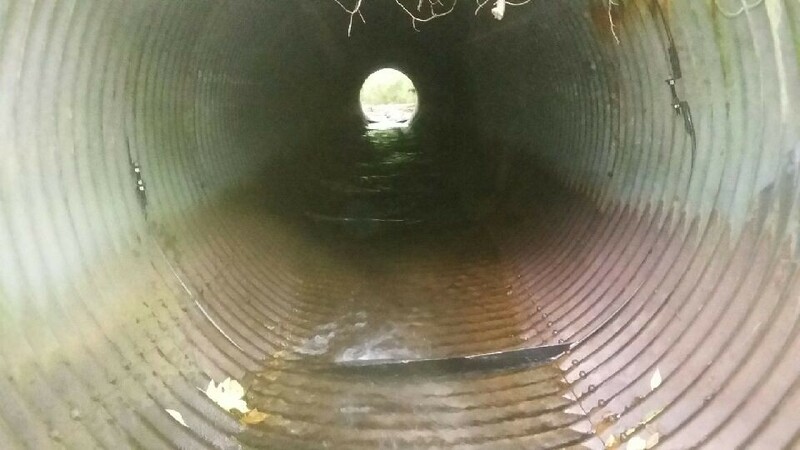 In September, thanks to the City of Port Moody, several missing baffles were replaced in the Mossom Creek culvert under Ioco Road. This will help our spawners make their way upstream more easily during the heavy flows of late October and November. 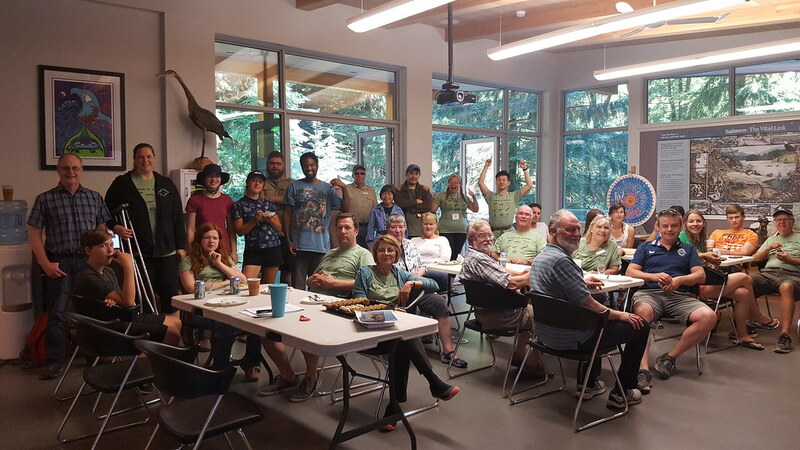 Volunteers from Noons and Mossom assemble for spawner census training given by Zo Ann of the Pacific Streamkeepers Federation. 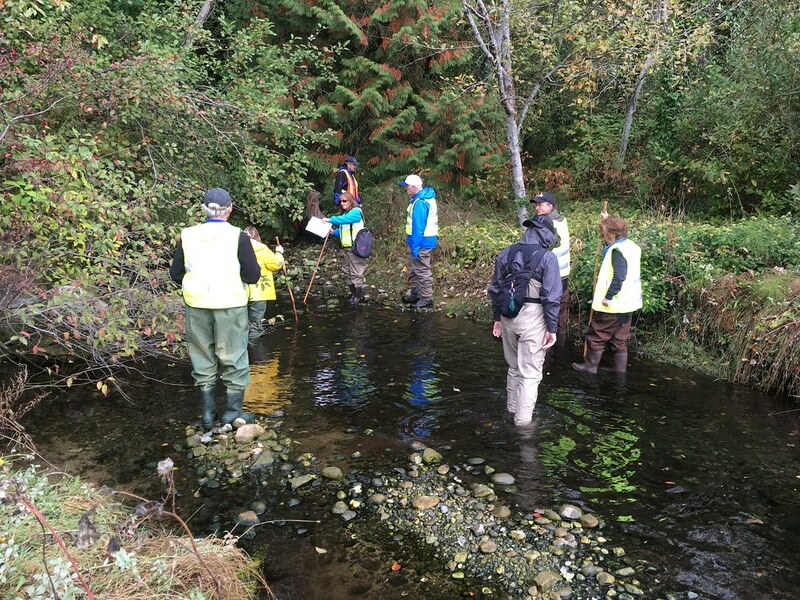 The stream walk training to inventory spawners begins at the Mossom estuary. In early October, the pond at Mossom had to be drained for repair after its lining was damaged by a bear. 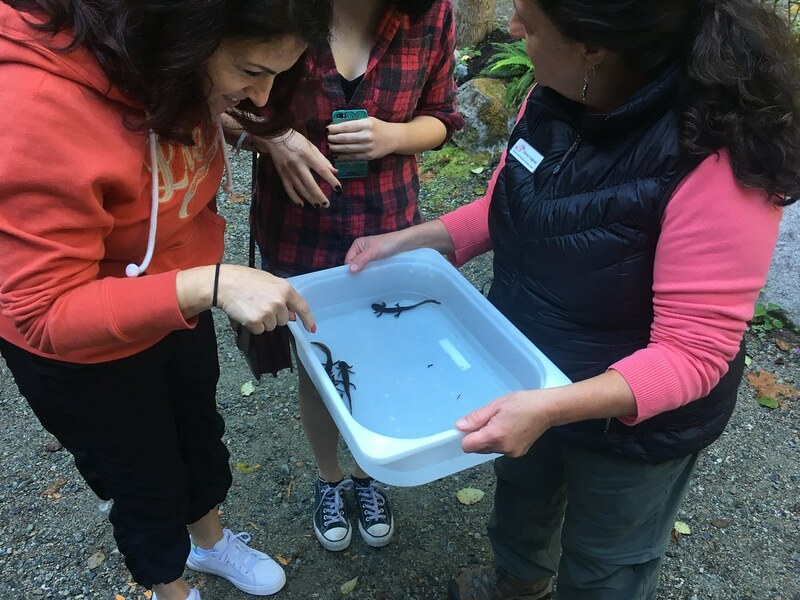 Northwestern salamanders living in the pond were studied and relocated upstream. 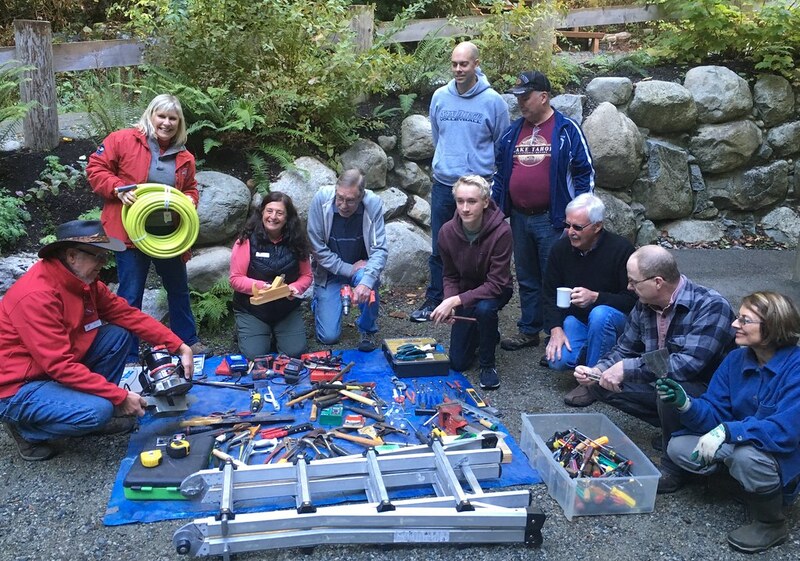 A campaign on Griffin Andersen’s website www.wishfulthinking.community garnered a very generous collection of donated tools plus cash for Mossom. What a gift! 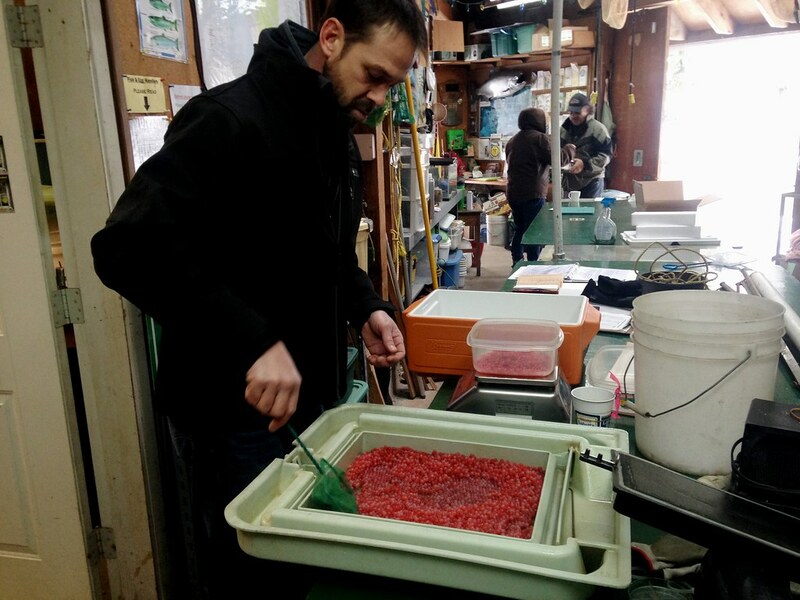 The Chilliwack Hatchery was the source of the year’s pink eggs for incubation at Mossom. 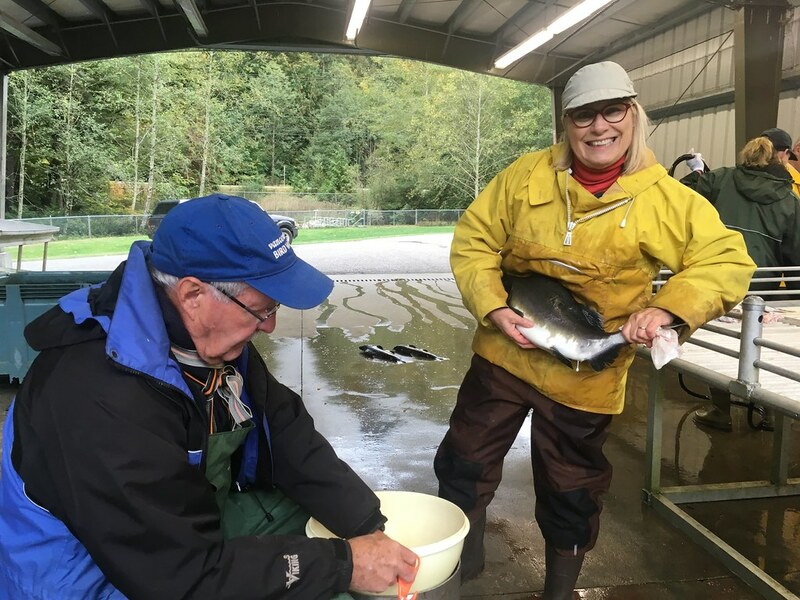 Rod, Ruth and Kevin travelled out to Chilliwack on October 10th to harvest the eggs and milt with DFO assistance. 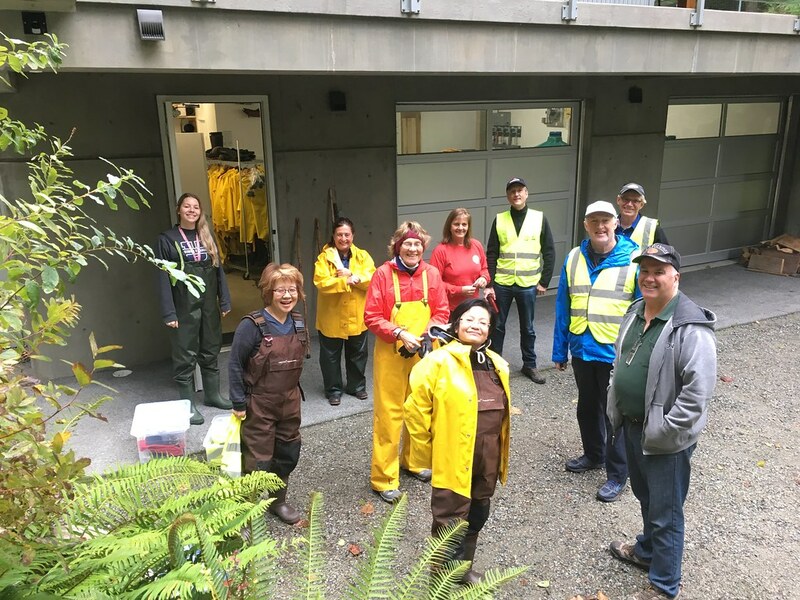 On October 19th, BCIT fisheries students assisted Mossom in the first of two Alouette chum egg takes. 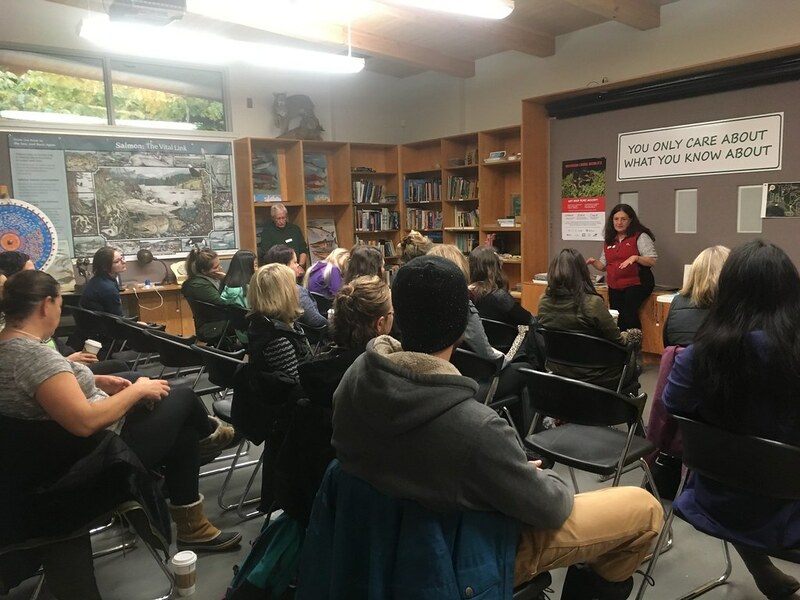 Rod and Cleone were two of the presenters at the fall environmental and aboriginal education Pro-D workshop for SD43 teachers at Mossom. 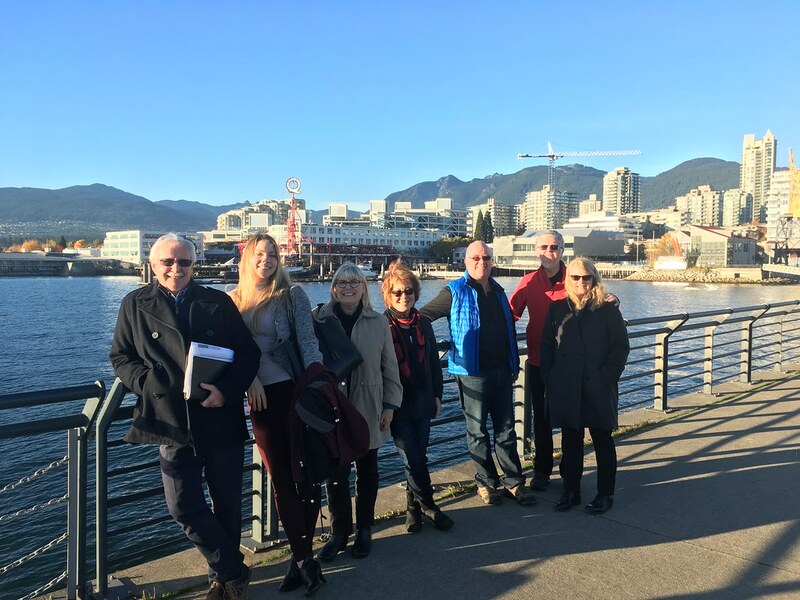 Vancity assisted with the expenses for the full day of sessions inside and outdoors. 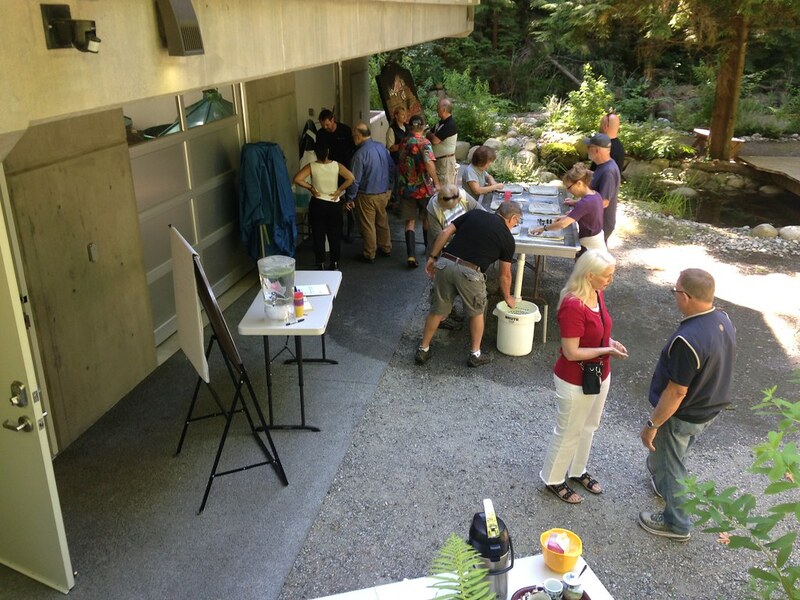 Mossom hosted a meeting on October 3rd for Eagle Mountain trail users groups and watershed stewardship reps. 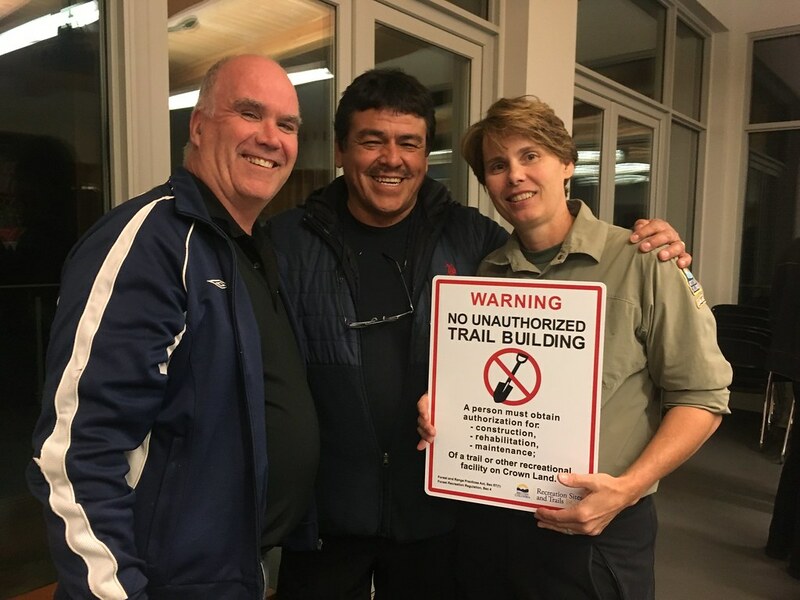 The BC government’s Recreation Sites and Trails staff persons, Cathy Ross and Tom Blackbird, led discussion of requirements and best management practices for trail use going forward. 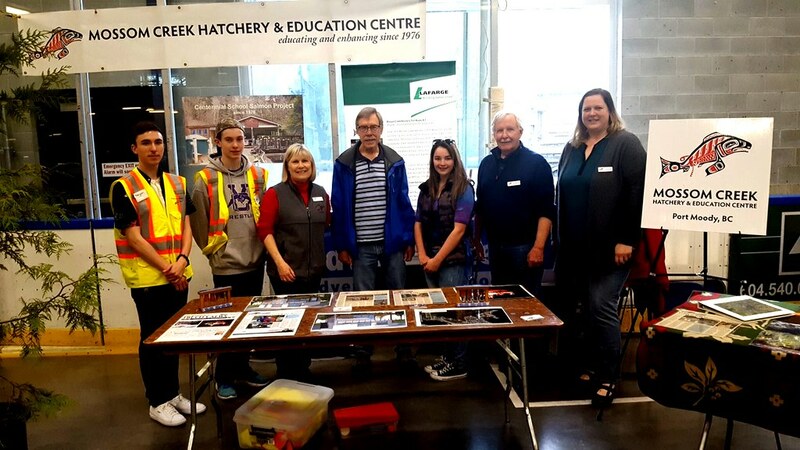 Several Mossom volunteers attended the excellent Burrard Inlet Science Symposium in North Vancouver on October 24th. 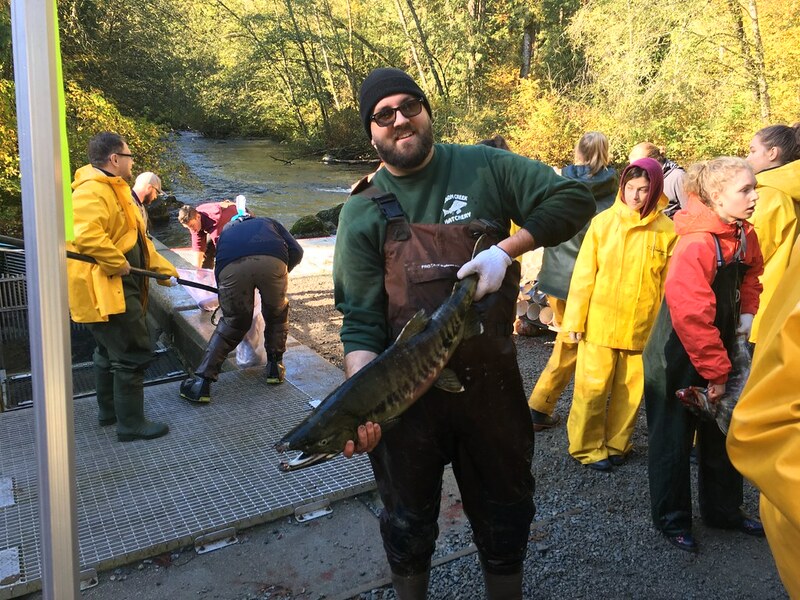 Kyle was surely the most experienced egg take volunteer at Mossom’s second chum egg take of the year on October 27th on the Alouette River. 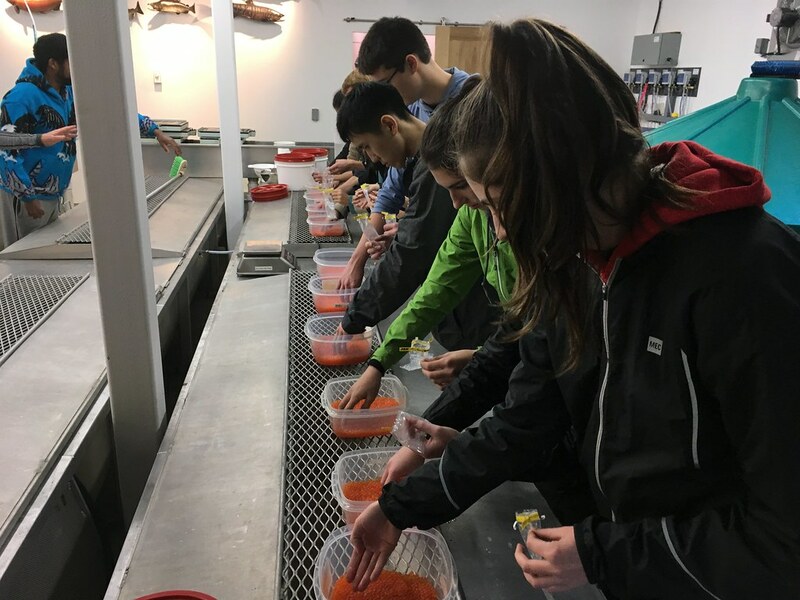 Students from Centennial and Heritage Woods Secondary Schools got a great deal of hands-on experience when they assisted with the chum egg take on October 27th. Here they are mixing sperm with eggs. 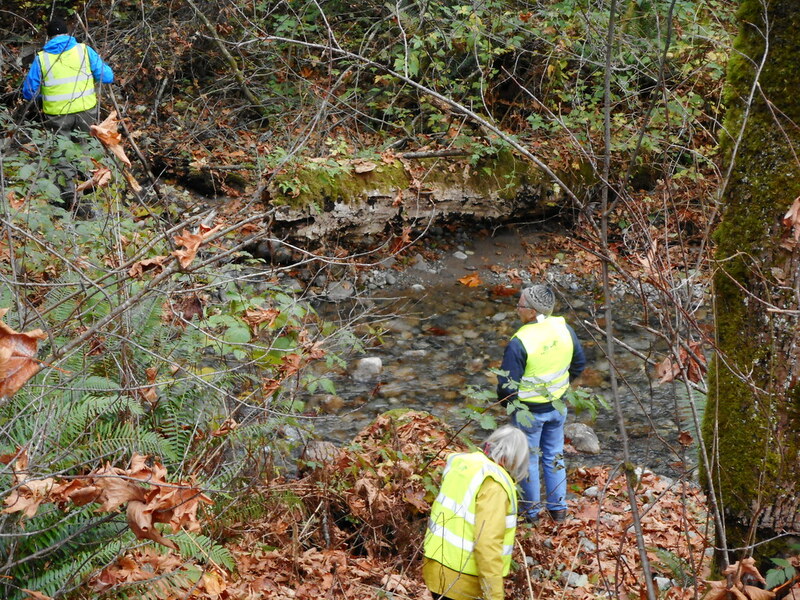 Stream walk volunteers continued with spawner counts into November. 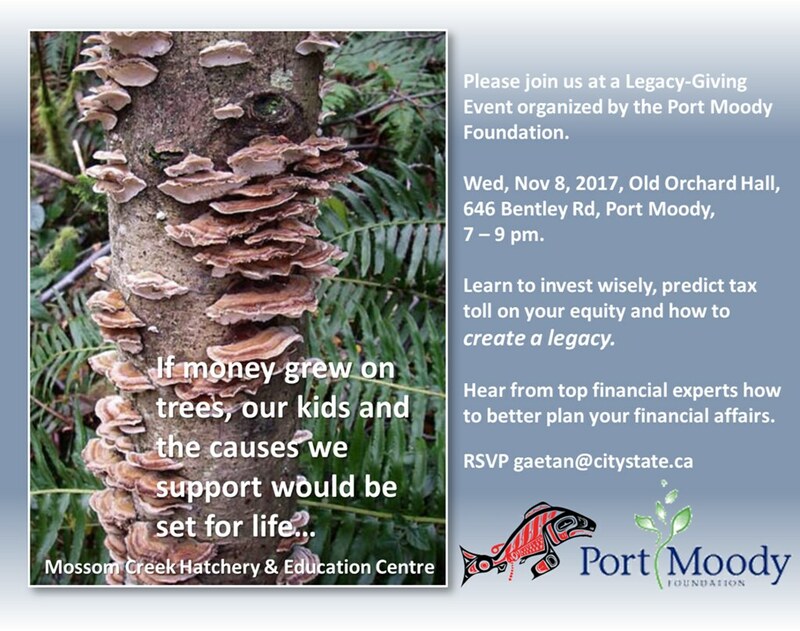 Mossom was chosen to be one of three local charities in the spotlight at a legacy planning event put on by the Port Moody Foundation on November 8th. 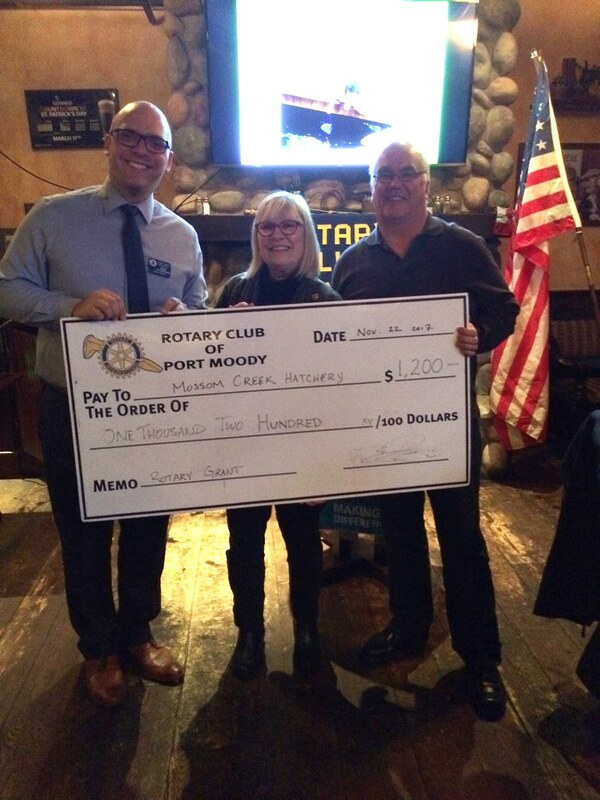 The Rotary Club of Port Moody came up with a generous gift of $1200 to assist with the emergency repairs necessary to fix Mossom’s educational pond. 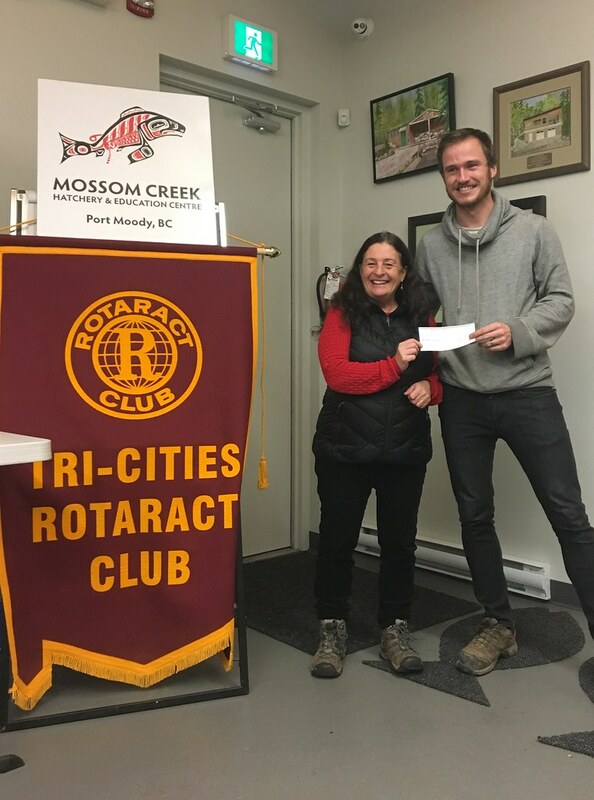 The Tri-Cities Rotaract Club also contributed $300 to assist with pond repairs. Thank you! Neil and Krystyna check on the incubating chum eggs in late November. 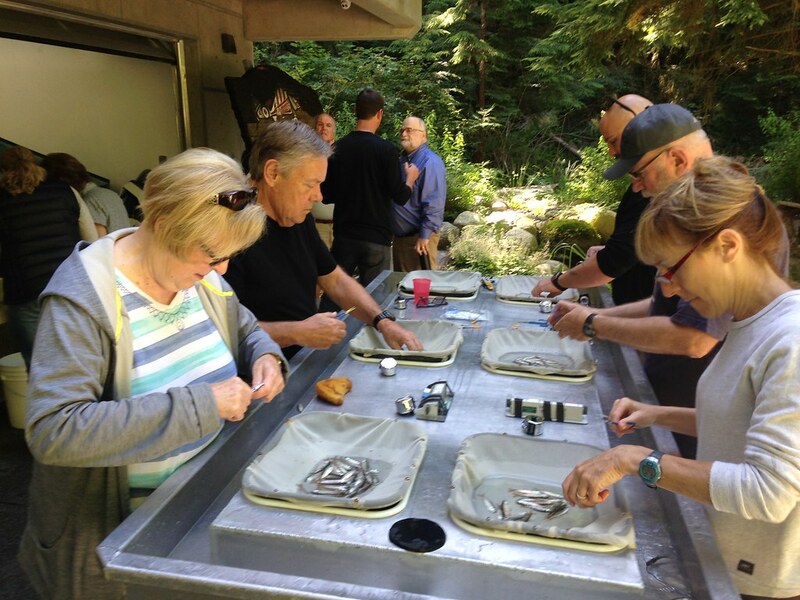 Kevin, Krystyna and Neil do sample weights for the coho juveniles from the two green tubs to ensure that food amounts are appropriate. 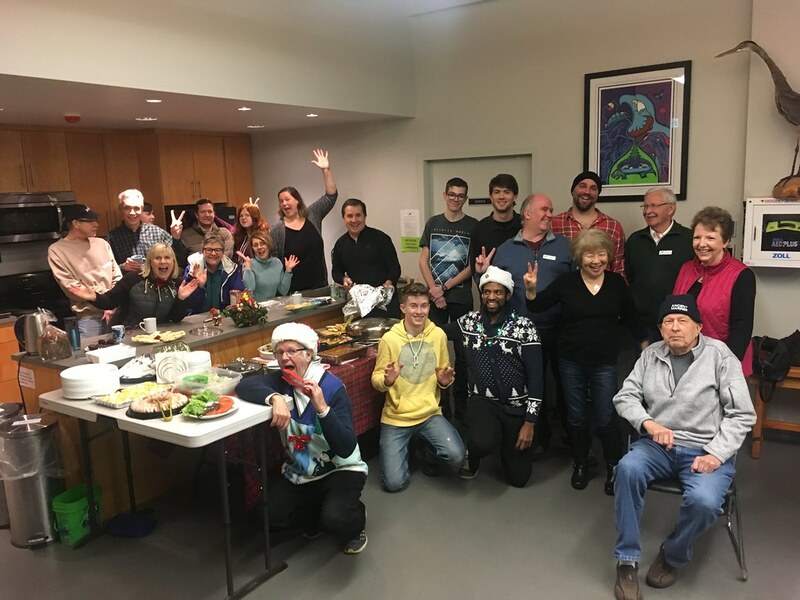 The end of the year was celebrated with a fine Christmas pot luck feast complete with a turkey on December 17th. What a wonderful visual summary of all you do up there! Congratulations, and keep up the good work!